SWEATMAN, ARTHUR, Church of England clergyman, teacher, and archbishop; b. 19 Nov. 1834 in London, England, son of John Sweatman, a physician, and Anne —; m. 30 July 1868 Susanna Garland in Islington (London), England, and they had four sons and three daughters; d. 24 Jan. 1909 in Toronto. Arthur Sweatman took his formal education in England, beginning in private schools at Blackheath (London) and Hampstead (London), and continuing at University College School, London. 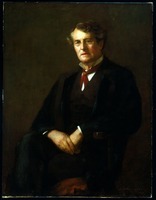 He entered Christ’s College, Cambridge, in 1855, received his ba in mathematics four years later, and proceeded ma in 1862. He was ordained deacon in 1859 and priest the following year. Ministry to young people was the major theme of Sweatman’s early career. Already at the age of 15 he was teaching Sunday school, and at Cambridge he was a Sunday-school superintendent. 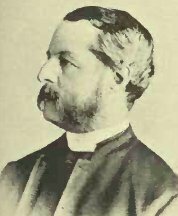 In his first clerical appointment, the curacy of the Church of the Holy Trinity, Islington (1859–63), he founded the Islington Youths’ Institute (1860), a step which distinguished him as a pioneer in the movement for boys’ clubs. During his appointment as curate of St Stephen’s, Canonbury, from 1863, he was a master in the Islington Proprietary School. In 1865 Isaac Hellmuth, principal of Huron College in London, Upper Canada, visited England and was impressed with his reputation for work with youth. 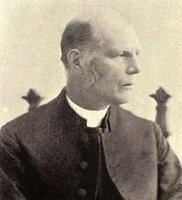 He persuaded Sweatman to become first headmaster of the London Collegiate Institute, an Anglican residential school in the diocese of Huron. Sweatman remained in that position until 1871, served briefly as a mathematics master at Upper Canada College, Toronto (1871–72), was rector of Grace Church, Brantford (1872–74), and returned to Hellmuth Boys’ College (the new name for London Collegiate) as principal (1874–76). 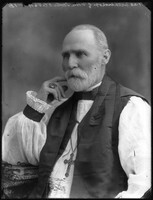 He then became priest in charge of New St Paul’s, Woodstock (1876–79), overseeing the construction of its building and at the same time serving as archdeacon of Brant. 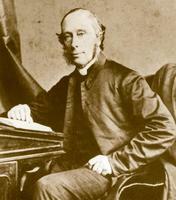 In March 1879 the synod of the diocese of Toronto met to elect a bishop to succeed the late Alexander Neil Bethune*. For five days factionalism frustrated an election [see George Whitaker*]. Finally, in compromise, Sweatman was elected as a temperamentally conciliatory candidate, and he was consecrated on 1 May. In his first address to synod, he surprised many by his strong identification with “the Protestant Evangelical views of our Reformed Church,” and by his outspoken criticisms of habitual confession, ritualism, and the doctrine of Christ’s real presence in the Eucharistic elements. He thus endeared himself to the overwhelmingly Protestant laity of his diocese, although in time he would win the confidence of his generally high-church clergy through his personal loyalty to them, his love for church order, and his tolerance of diverse opinion. His greatest gifts, however, were in administration. As bishop for almost 28 years, he transformed a debt-ridden, demoralized, and poorly organized diocese into a financially healthy, confident, and efficient one. 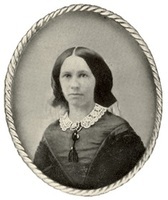 First, Sweatman reformed the diocese financially. It had never been compensated for the virtual disappearance of its major sources of revenue: the clergy reserves (and the commutation funds which replaced them), membership dues to the Church Society, and donations from England. He systematically built up endowments and lay givings. As well, he rationalized parish assessments, improved financial record-keeping and management, and in 1903 appointed a diocesan missionary agent, Hillyard Cameron Dixon. Sweatman’s efforts were immensely assisted by Toronto’s development as a centre for finance, trade, and transportation. At the beginning of Sweatman’s episcopate, evangelical Anglicans and high-church Anglicans each had their own mission society, newspaper, and Sunday-school curriculum, and the annual meetings of synod were the focus of intrigue and heated debate. Sweatman reduced the theological warfare between the two parties. He encouraged them to cooperate in the work of the diocese, reconstructed the procedures of synodical government, and tried to be fair with all sides. At his death, although theological divisions remained, formal synodical factionalism and partisan organizations had disappeared. Sweatman modernized the management of the diocese. He revised its canons and procedures, reorganized and expanded the staff, introduced modern business methods, and enlarged the role of the laity. His appointment of Edward Blake* to the vacant position of diocesan chancellor (1883–90) signalled his desire to exercise a carefully regulated authority within the synodical system, as opposed to ruling by episcopal prerogative. His early support for women’s organizations such as the Woman’s Auxiliary, which became probably the most effective Anglican organization in the country, paid long-term dividends. Sweatman also “ordained” (his word) the first Anglican deaconesses in Canada. During his episcopate Sweatman supervised the expansion of the church to meet the needs of a growing region. He visited every corner of his diocese as frequently as possible, and administered confirmation to 45,000 people. He ordained 26 deaconesses and increased his clergy from 119 to 200. The number of church buildings in the diocese rose from 165 to 251, and many were rebuilt. Sweatman’s greatest failure and most bitter disappointment was his cathedral project. The cathedral he had inherited, St James’, was no more than a parish church with contractual arrangements for episcopal use. Sweatman established an independent foundation, St Alban’s, and made himself dean. He envisioned the new cathedral as the educational, missionary, and programming centre of the diocese. He laid the cornerstone of the building in 1887, but the rest of the diocese was studiously unenthusiastic about the project, and only an undistinguished choir and chancel were ever completed. These now form the Church of St Alban the Martyr, on Howland Avenue, where the bishop’s residence was also located. Though Sweatman generally avoided controversy, he was outspoken in advocating temperance and observance of the Lord’s Day. He sometimes entered into theological debate with John Joseph Lynch*, the Roman Catholic archbishop, on such matters as whether saints should be venerated and whether Anglicans could be saved. Towards non-Anglican Protestants he was distinctly more ecumenical than his predecessors, and he was conspicuous in the Bible Society, the Evangelical Alliance, the Lord’s Day Alliance, and the Moral Reform Council of Canada. Ministry to young people remained a life-long joy – one of his first episcopal acts was to establish the Church of England Sunday School Association. Particularly committed to domestic and foreign missions, he helped found the Missionary Society of the Church of England in Canada. He also chaired the committee that in August 1890 drafted the organizational scheme for joining the Anglican provinces of Canada into a national church governed by a general synod. Arthur Sweatman suffered a seizure in 1905 and underwent surgery, but he persisted in his ministry despite a period of convalescence and further illness. On 16 Jan. 1907 the ecclesiastical province of Canada elected him metropolitan, and thus archbishop of Toronto. 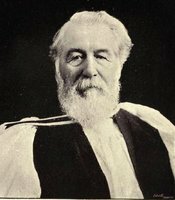 Meeting at the same time, the General Synod of the Church of England in Canada elected him primate of the Canadian church, in succession to William Bennett Bond. Sweatman died of bronchial pneumonia two years later. During his career as bishop, he had received honorary degrees from Cambridge (dd 1879), Trinity College, Toronto (dcl 1882, dd 1907), Durham (dcl 1897), and Oxford (dd 1897). A modest assortment of Arthur Sweatman’s papers are in ACC, Diocese of Toronto Arch., PI-1, Swt. His main writings are his annual reports, in Church of England in Canada, Diocese of Toronto, Journal of the synod, 1879–1907. His publications also include A sermon preached in Grace Church, Brantford, on Sunday morning, November the 10th, 1872 . . . (Brantford, Ont., 1872) and A farewell sermon preached in St. Paul’s Church, Woodstock, on Sunday evening, 13th April 1879 ([Woodstock, Ont. ?, 1879], copies of which are preserved in ACC, General Synod Arch. (Toronto)); Charge of the bishop of Toronto to the synod: report of the Church Association and meeting of the Protestant Episcopal Divinity School of Toronto, 1879 (Toronto, 1879), excerpts from which were reissued posthumously as The Church of England in Canada; extracts from the first charge of his grace the late Archbishop Sweatman, delivered by him at Toronto, June 10, 1879, called by him “My declaration of faith” and by evangelicals “Our magna carta” ([Toronto, 191-? ]); and A sketch of the history of the parish of Woodstock ([Woodstock, Ont., 1902?]). He is also the co-author, with William Clark, of “History of the Church of England in Ontario” in Canada, an encyclopædia (Hopkins), 2: 327–35. Copies of a published pastoral by Sweatman, Cathedral of St. Alban the Martyr, Toronto: its origin, purpose, and present position; a pastoral from the lord bishop of the diocese (Toronto, 1886), are available in his papers at the diocese of Toronto and at the MTRL; it has also been made available on microfiche by the CIHM and is cited in its Reg. GRO-L, Marriage certificate, Holy Trinity (Islington [London]), 30 July 1868. Daily Mail and Empire, 25–28 Jan. 1909. Globe, 25–28 Jan. 1909. Toronto Daily Star, 25–28 Jan. 1909. Canadian Churchman, 26 Jan. 1909. Canadian men and women of the time (Morgan; 1898). Charlesworth, Candid chronicles. Church of England in Canada, General Synod, Year book and clergy list (Toronto), 1892–1909. The clergy list . . . (London), 1860–1909. W. G. Cooke, “The diocese of Toronto and its two cathedrals,” Canadian Church Hist. Soc., Journal (Toronto), 27 (1985): 98–115. Crockford’s clerical directory . . . (London), 1860–1909. Cyclopædia of Canadian biog. (Rose), vol.1. William Dendy, Lost Toronto (Toronto, 1978). Dominion Churchman, 20 Dec. 1888. W. McG. Eagar, Making men: the history of boys’ clubs and related movements in Great Britain (London, 1953), 160–65. A. L. Hayes, “Repairing the walls: church reform and social reform, 1867–1939,” By grace co-workers: building the Anglican diocese of Toronto, 1780–1989, ed. A. L. Hayes (Toronto, 1989), 43–95. The roll of pupils of Upper Canada College, Toronto, January, 1830, to June, 1916, ed. A. H. Young (Kingston, Ont., 1917). Standard dict. of Canadian biog. (Roberts and Tunnell). G. J. Stortz, “Archbishop John Joseph Lynch and the Anglicans of Toronto, 1860–1888,” Canadian Church Hist. Soc., Journal, 27 (1985): 3–17. Alan L. Hayes, “SWEATMAN, ARTHUR,” in Dictionary of Canadian Biography, vol. 13, University of Toronto/Université Laval, 2003–, accessed April 18, 2019, http://www.biographi.ca/en/bio/sweatman_arthur_13E.html.